THE DISCONAUTS, Shake!, Gigantic, 110th Street, Graham Dolan, and other leading Galway and Irish DJs hit the decks at Electric tomorrow from 8pm, to raise funds for Syrias Vibes. Syrias Vibes is a not-for-profit campaign, founded by Dublin DJ Calvin James Sweeney and his brother Andrew, which funds emergency rescue services in Syria, through organising gigs and parties across Ireland. 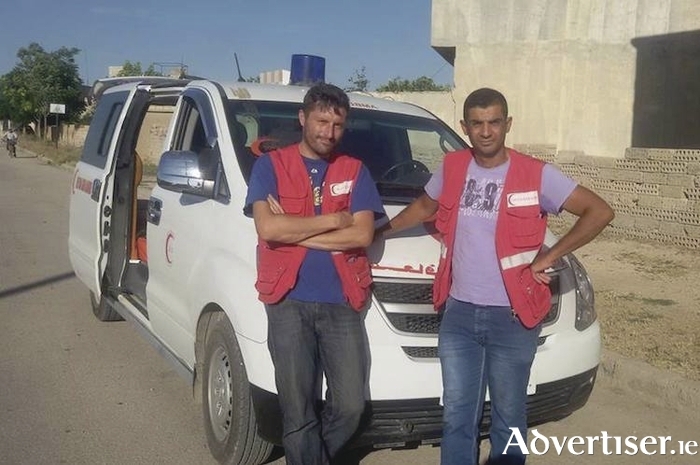 The campaign is currently funding a clinic and ambulance service in northern Syria, to help the Red Crescent reach and save more people. Calvin, a co-founder of Supporting Children out of Poverty, started the initiative after spending six months volunteering in Syria as a medic. The funds raised at the event will travel back to war torn Syria with Calvin in January 2017 and provide aid and medical equipment to the Syrian people.